Erbil, Kurdistan Region, Iraq (cabinet.gov.krd) – Kurdistan Region Prime Minister, Nechirvan Barzani, yesterday received European Union Commissioner for Humanitarian Aid and Crisis Management, Christos Stylianides, EU ambassador to Iraq Jana Hybaskova, and their accompanying delegation. The EU officials expressed their appreciation to the people and government of Kurdistan Region, which has accommodated and offered assistance to a large number of refugees and internally displaced people, IDP’s, despite the Region’s financial difficulties. They reiterated their support and assistance to the Kurdistan Region, stressing that they will work for increasing international assistance in order to help easing the Region’s financial burden. In a post on his twitter account, Mr. Christos Stylianides said, “We’re committed to support impressive generosity of KRG to IDPs and refugees”. In the meeting with the Prime Minister, the EU delegation also hailed the role of the Peshmerga forces that have been able to repulse Islamic State terrorist organization, ISIS, forces, and protect the region’s population from various religious and ethnic backgrounds. Prime Minister Barzani thanked the EU officials for their visit, and demanded that they covey the reality of situation in the Region to the related European and international organizations. He called for further assistance to the refugees and IDPs, directly or through the international and local aid agencies. He praised Ambassador Hybaskova’s role, who frequently visits Kurdistan Region and closely observers the situation on the ground, saying this demonstrates the importance that the European Union accords to the Kurdistan Region. The two sides also discussed the recent developments in Iraq and the region in general. Erbil, Kurdistan Region, Iraq (cabinet.gov.krd) – In a statement on the recent bombardment of Kurdistan Workers Party, PKK, bases in Kurdistan Region, Kurdistan Regional Government Prime Minister, Nechirvan Barzani, expressed his and his government’s willingness to work for the reestablishment of the ceasefire and relaunch of the peace process in Turkey. Targeting Kurdistan Workers Party, PKK, bases, Turkish warplanes and artillery, last night, bombed several positions in the Kurdistan Region. Regrettably, the bombardments came following statements by the head of Group of Communities in Kurdistan, KCK, saying that “The truce and peace process have ended in Turkey and that neither People’s Democratic Party, HDP, nor Mr. Abdullah Ocelan have the right to decide on disarming PKK .” This has undermined the role of HDP and Mr. Ocelan, affected the public opinion in Turkey, and put the Turkish government under pressure. Last week, the PKK announced its responsibility for the killing of two police officers in Turkey, an act which has further complicated the situation. The peace process between Turkey and PKK was launched practically as the result of a long and persevering hard work. It made progress and went through important phases. Its outcome is important for the progress of democracy, peaceful coexistence and people’s welfare in Turkey. 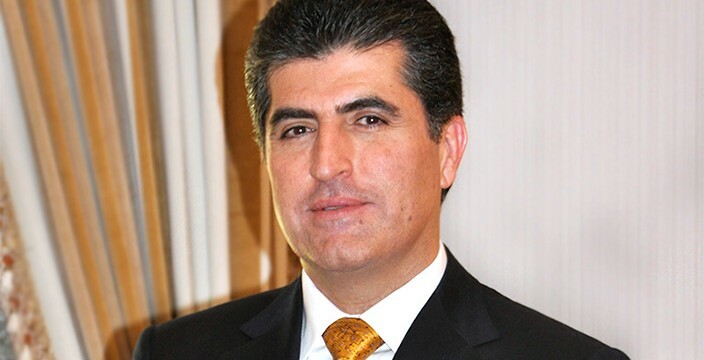 The Kurdistan Region, particularly its President, Masoud Barzani has played a significant role in making the ceasefire happen between Turkey and PKK, initiating peace process, and establishing direct talks between the two sides, in which Mr Ocelan was considered as a principal party of the negotiations, not as a prisoner. Regrettably, the mistakes committed now have undermined the entire peace process, which could not have been launched without the understanding and courage of the Turkish President, Mr. Recep Tayib Erdogan. Kurdistan Region President, Mr Masoud Barzani, and Kurdistan Regional Government, are ready to reengage their role for the reestablishment of the ceasefire and the relaunch of the peace process, as violence and the use of force do not settle any problem. Here, we call on the PKK to restrain and work to re-establish the ceasefire and re-engage in the peace process. Mr. Ocelan and HDP should be given their roles, and we are ready to offer our collaboration. Erbil, Kurdistan Region, Iraq (cabinet.gov.krd) – Kurdistan Region Prime Minister, Nechirvan Barzani, yesterday received United Nations Special Representative for Iraq, Ján Kubiš and his accompanying delegation. In the meeting, which was also attended by Quad Talabani, Kurdistan Region Deputy Prime Minister, Mr. Kubiš expressed his satisfaction for the level of cooperation and coordination between the Kurdistan Regional Government institutions and United Nations agencies, and thanked the KRG for the assistance it has so far offered to refugees and internally displaced persons who fled violent repression of the Islamic State terrorist organisation and took refuge in the Kurdistan Region. Mr. Kubiš also stressed that the United Nations supports KRG’s efforts in settling its differences with Baghdad through dialogue, pointing out that they are willing to help the Kurdistan Region in this regard. He reiterated the need for all the parties to commit to the agreement reached between the two sides. Prime Minister Barzani briefed the UN envoy about the latest developments in the relations between the KRG and Federal Government of Iraq, pointing out that the differences between the two sides, which have been going on since last year, have still not been addressed. Hence the Kurdistan Regional Government has been forced to take other measures to address its own urgent problems, particularly financial ones, occurred as the result of non-abidance of Baghdad by its agreement with the Erbil. Meantime, Prime Minister Barzani reiterated that the KRG supports dialogue and talks with Baghdad in order to come up with appropriate solutions in the interest of the two sides. He commended the role played by the United Nations in this regard. Erbil, Kurdistan Region, Iraq (cabinet.gov.krd) – Kurdistan Region Prime Minister, Nechirvan Barzani, yesterday received the Italian Minister of Defence, Ms. Roberta Pinotti and her accompanying delegation, which included the Italian Consul General to the Kurdistan Region, the Italian army Chief of Staff and a number of diplomats and military officials. In the meeting, which was also attended by Kurdistan Region Deputy Prime Minister, Qubad Talabani, and a number of Kurdistan Regional Government Ministers and officials, Ms. Pinotti reaffirmed her government’s appreciation for the role played by the Kurdistan Region Peshmerga Forces in the fight against the Islamic State terrorist organisation, ISIS, and in defending and protecting the various communities in the Kurdistan Region. She said that the Kurdistan Region enjoys a high reputation at the global level as its Peshmerga Forces defend civilisation against barbarity. While she praised the role of the Kurdistan Regional Government for having accommodated and offered assistance to a large number of refugees and displaced persons, who fled ISIS violent repression and took refuge in the Kurdistan Region, Ms. Roberta Pinotti expressed her country’s readiness to help this vulnerable population. Prime Minister Barzani expressed his gratitude to the Italian people and government for their continuous support, recalling Italian Prime Minister’s visit last year, when ISIS began attacking Kurdistan. The two sides discussed Italy’s military support to the Peshmerga Forces and humanitarian aid to the refugees and IDPs. Ms. Pinotti and her accompanying delegation arrived Kurdistan Region last night and were received at Erbil International Airport by Mustafa Sayid Qadir, Minister for Peshmerga Affairs, Falah Mustafa, head of the Department of Foreign Relations and Rezan Qadir, KRG representative in Italy. Erbil, Kurdistan Region, Iraq (cabinet.gov.krd) – Kurdistan Region Prime Minister, Nechirvan Barzani, yesterday received Italian Ambassador to Iraq, Marco Carnelos, and his accompanying delegation. Ambassador Carnelos praised the role of the Peshmerga forces who confront the Islamic State terrorist organisation, ISIS, on behalf of the entire world, reiterating his government’s support to Kurdistan Region in the war against terrorism. He stressed that he will work to strengthen the relations between Italy and Kurdistan Region in all fields, particularly in military, humanitarian, and economic domains. Ambassador Carnelos reiterated his support for the settlement of the issues between Kurdistan Region and Baghdad. He expressed his gratitude to the Italian government, as it was among the countries that had helped the Kurdistan Region since the early days when it started confronting ISIS. He said the visit by Italian Prime Minister was the best support. Regarding relations between Kurdistan Region and Baghdad, Prime Minister Barzani stressed the necessity of settling the issues through dialog and negotiations. Erbil, Kurdistan Region, Iraq (cabinet.gov.krd/mnr.gov.krd) – Kurdistan Regional Government, KRG, has increased its direct oil sale in June due to the “significant debt backlog arising from the budget cuts of 2014 imposed by the federal government, and the need to pay down debts accumulated in 2014 from pre-payments for oil sales”, KRG Ministry of Natural Resources said in its June Export Report. Due to these difficulties, the KRG Ministry of Natural Resources has been obliged to increase its independent oil sale, the report said. According to the report, KRG tanks in Ceyhan port in Turkey received 17,130,639 barrels of crude oil (an average of 571,021 barrels per day, bpd) in June, through the Kurdistan pipeline network to the port of Ceyhan in Turkey. Fields operated by the KRG contributed 12,740,711 barrels (an average of 424,690 bpd), while fields operated by the North Oil Company, NOC, contributed 4,389,928 barrels (an average of 146,331 bpd). In June, KRG supplied 4,493,334 barrels (an average of 149,778 bpd) to Iraq’s State Oil Marketing Company, SOMO, in Ceyhan. According to the KRG Ministry of Natural Resources Report, the KRG has indepemdently sold 11,893,231 barrels in June. Following the budget cut imposed by Bagdad early 2014, KRG largely relied on international and local loans in securing the Region’s civil servants salaries and public services spendings. Kurdistan Region financial difficulties continued in 2015, as the Iraqi Federal Government has, to date, failed to abide by its agreement with KRG reached last December on oil export and budgetary issues. According to the December agreement, KRG is committed to export 550,000 bpd in return for a budget entitlement close to one billion US dollars per month to be paid by the federal government. The agreement was approved within the framework of the Iraqi Federal Budget Law for 2015. Although, KRG independent oil sales has increased, the report stresses that KRG remains committed to the 2015 Federal Budget Law in its entirety. “[The KRG] will continue to work with its counterparts in Baghdad to reach a resolution on all the outstanding issues of oil and gas as described in the joint statement of June 17, 2015 by the KRG’s Regional Council for Oil and Gas Affairs and the five political parties in the Kurdistan Regional Government”, the report said. Erbil, Kurdistan Region, Iraq (cabinet.gov.krd) – Kurdistan Region Council of Ministers yesterday held its ordinary meeting, chaired by Prime Minister, Nechirvan Barzani and attended by Deputy Prime Minister, Qubad Talabani. Prime Minister Barzani pointed out that the KRG continues exerting great effort to ease the Region’s financial difficulties. He reiterated that his government aims at settling the problems with Baghdad through dialog and negotiations. However, he added, if the negotiations lead to no result, the KRG is entitled to settle its problems on the basis of law No. 5, Year 2013, which gives authority to the KRG to seek sources helping to stabilise the Region’s financial security, if Baghdad fails to do so. In another part of the meeting, Deputy Prime Minister Talabani and Ministers of Finance and Economy and Natural Resources discussed the issue of loan from international banks under the Kurdistan Region Parliament Law No. 7 of 2015, published in Official Gazette on 25 June. Deputy Prime Minister Talabani briefed the Council about the talks held recently with a number of international financial institutions, noting that the move will help the Kurdistan Region not only in securing financial resources, but it would also further enhance the position of the Kurdistan Region in gaining market credibility. The members of the Council expressed their support for this project and decided to set up a special committee to be in charge of the implementation of the Law. Regarding the Kurdistan Parliament meeting which held on 23 June 2015 to discuss amendments to the Law of Kurdistan Region Presidency, Prime Minister Barzani pointed out that this move created unease among the people in the Region and was a violation of the principle of consensus, while the session of parliament was held without consulting other parties and not taking into account the current difficulties which the Kurdistan Region passes through. However, he added, exerting efforts to reach a common understanding among the leaders of political parties continues. He said, meanwhile, the Kurdistan Parliament move should not reflect in the government work, which as a broad-base government has been conducting its affairs in harmony and unity of ranks. The Ministers, present at the meeting, unanimously expressed their support for the stance of Prime Minister on the need for the unity of ranks and stances in conducting government affairs, and not to violate the principle of consensus. They also expressed concern about the Parliament move which deals with a sensitive subject at this critical moment.